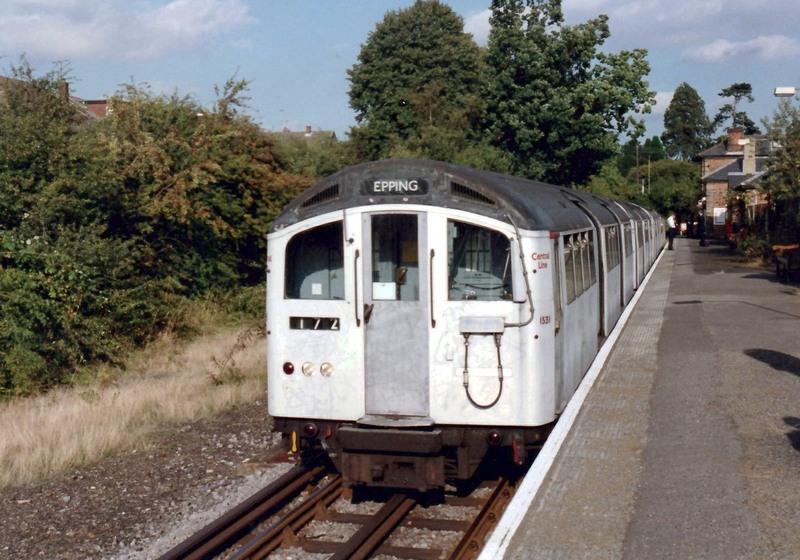 1962 stock formed with D end Driver Motor 1530 prepares to leave Epping for Ongar. The 1962 stock could be distinguished from the similar 1959 stock, by the position of the stabling (red) light which is to the left of the twin headlights on the 1962 stock, as shown above, but on the right of the headlights on the 1959 stock. 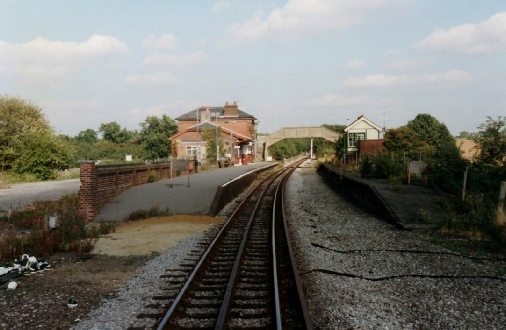 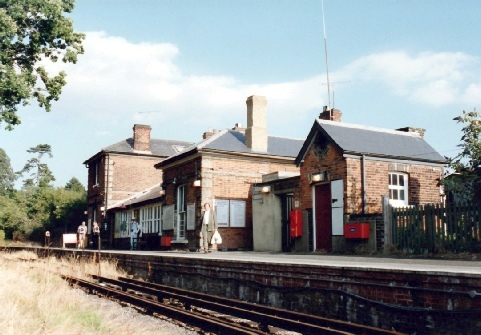 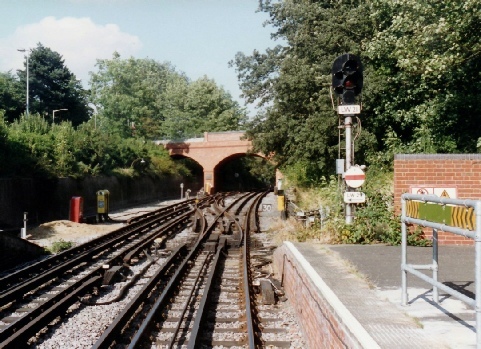 Passing through Blake Hall Station, which closed in 1981. 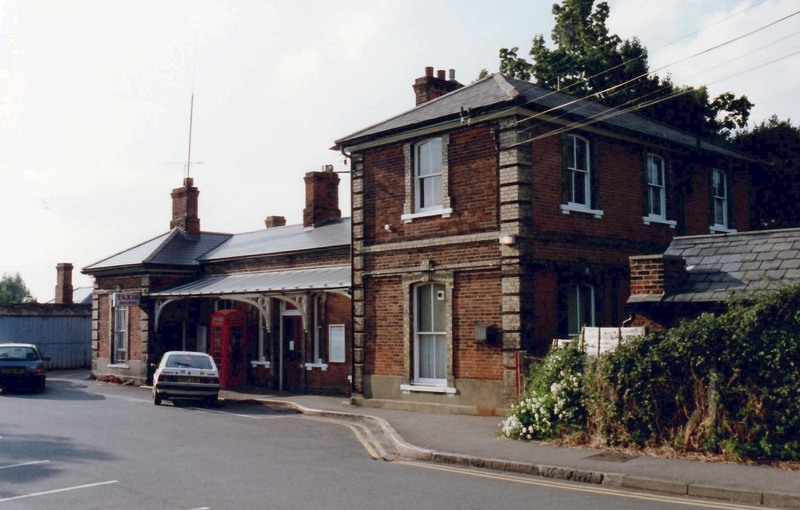 Judging by what is adjacent to the station, maybe it is not that surprising there was not much traffic! Arriving at North Weald station. The rural location of this London Underground station is apparent. 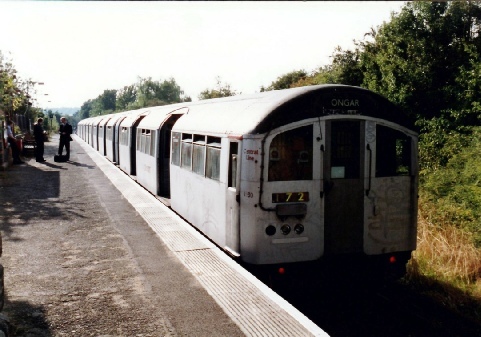 Arriving at Ongar - excuse the mark on the train windscreen top left. 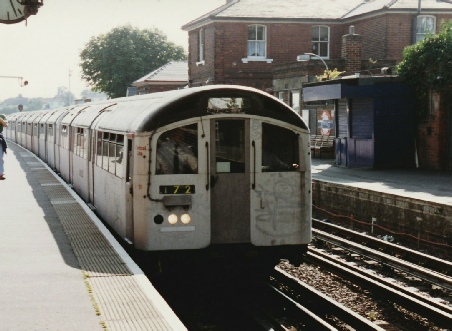 Driver Motor 1531 awaits departure from Ongar in the early evening sun. 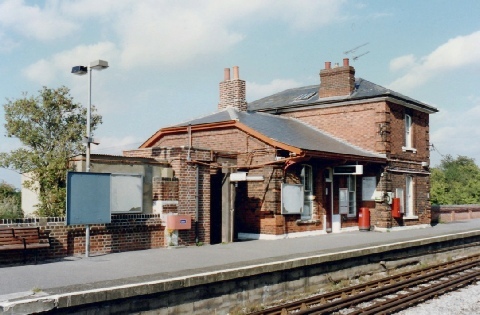 The disused platform at North Weald. 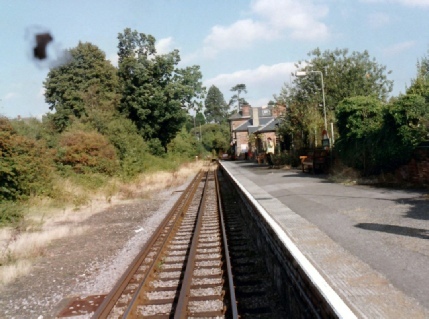 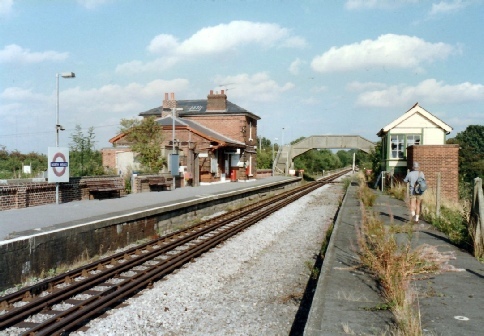 When the passing loop was removed from this platform over a weekend, apparently on the following Monday some passengers where seen waiting for their train on this platform, despite there being no track adjacent! Note the disused mechanical signabox. The active platform and station building at North Weald, in surprisingly good condition considering the little use and that the line was only a few months away from closure. Inside the disused signalbox, with the interior still intact. 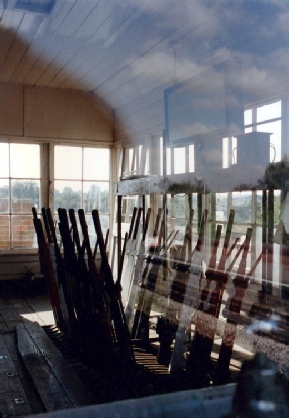 The photo was taken through the window, so excuse the reflections from the glass. 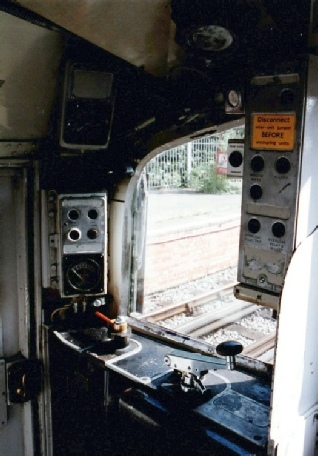 The view from the front of the train returning to Epping. 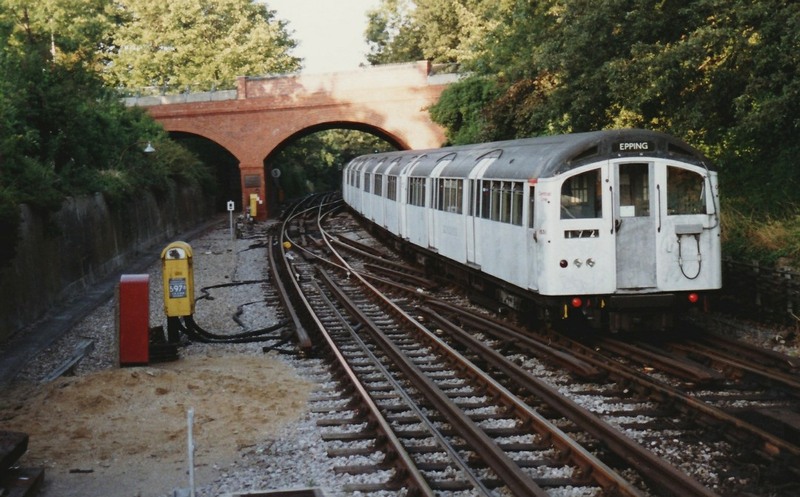 It is hard to believe that this photo was taken from an London Underground train on what was then part of the Underground network, The driver kindly stopped and opened the ‘M’ door at the front of the cab to allow the photo to be taken. The stop in the middle of nowhere must have surprised the few passengers in the train behind, as with ‘one-engine in steam’ on the branch, stops between stations would have been very unusual. 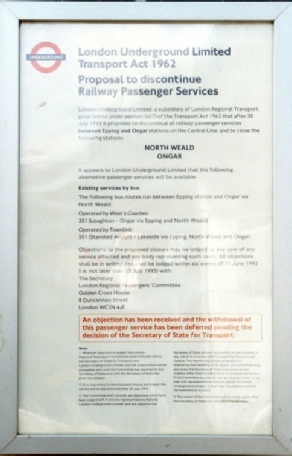 The closure notice for the Ongar branch posted on Epping station. We were fortunate to be allowed to travel in the cab of the train for the journey. Note pictures are scans from prints, so please excuse quality. 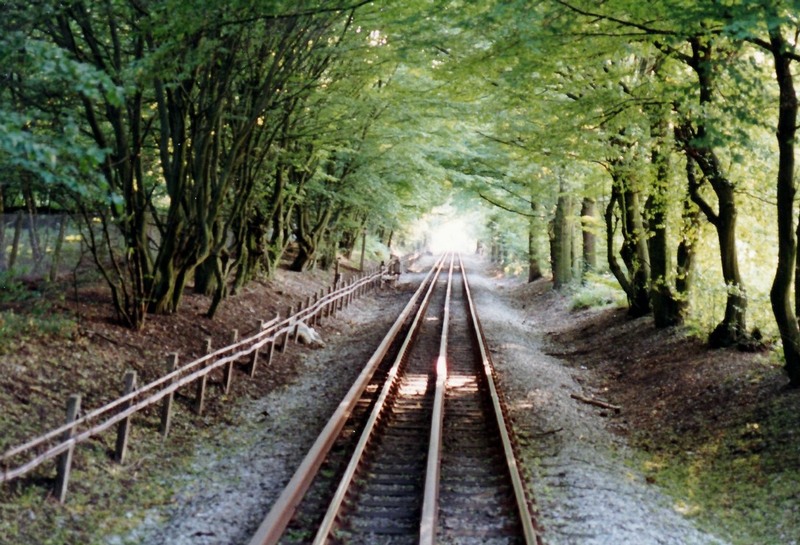 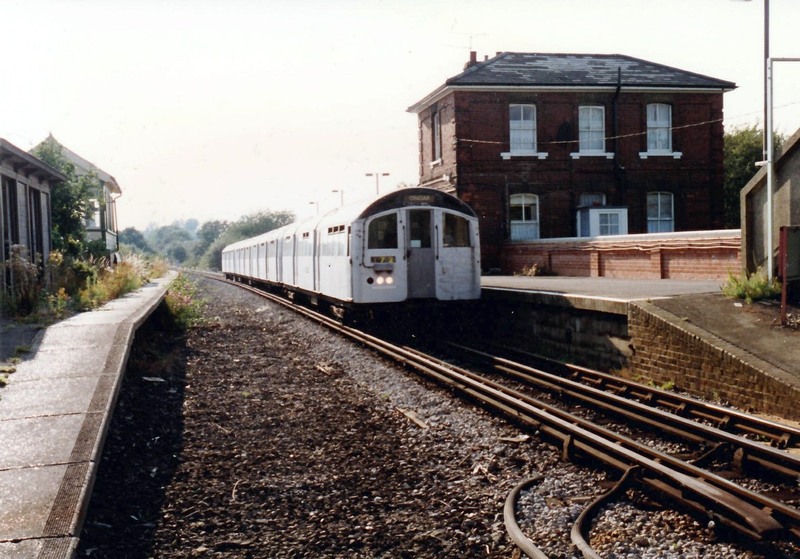 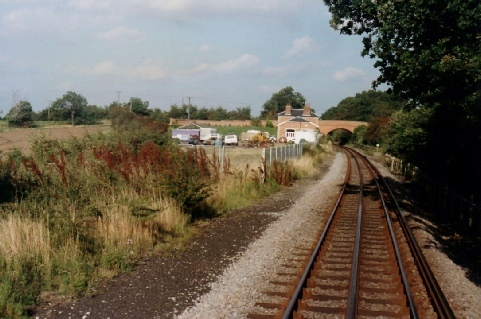 The line from Epping to Ongar has now reopened as a preserved line, the closest heritage railway to London. 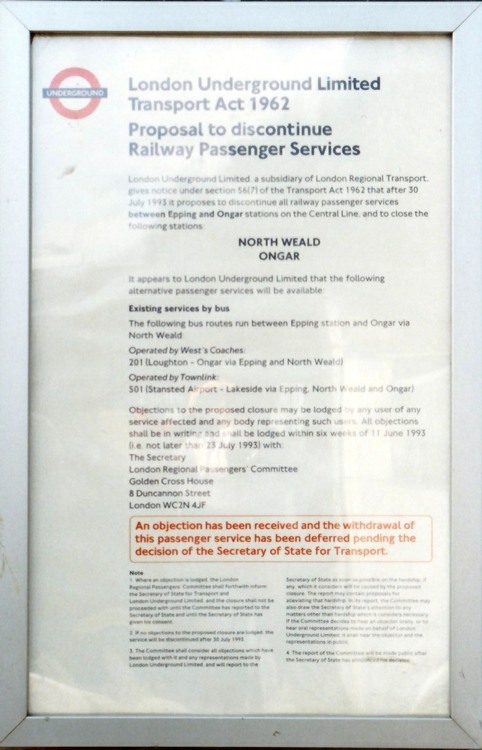 For further details, please click the button.